The beginning of the Twentieth Century was a glittering time of hope and innovation. It was one of the golden ages of art, particularly in Paris, the glamorous capital of all things cultural, where writers such as Ernest Hemingway, F. Scott Fitzgerald and Gertrude Stein hobnobbed and debated ideas with painters like Salvador Dali, Georges Braque and many others who filled the bars, cafes, and salons, working and discussing politics and their idyllic fantasies about what art could be. Thinking and dreaming BIG was the norm-- and collaboration and sharing in each others’ concepts and victories was, too. But there was a shadowy side to such sharing, where friendships and support could morph into jealousy and competitiveness, as the drive to become the best took ultimate control. It is within this sparkling Parisian backdrop that what is possibly the greatest rivalry of art history played out-- what IS modern art, and what should it be? 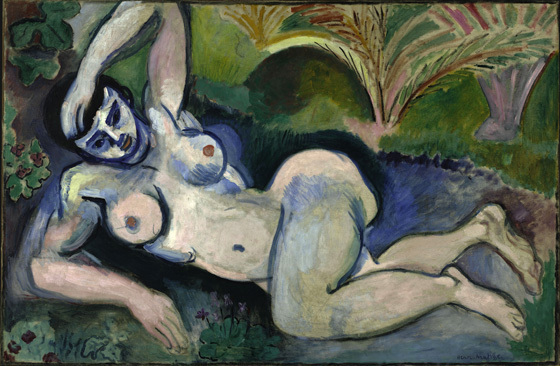 Smithsonian Magazine: "Matisse & Picasso"
The Guardian: Quiz: Are You a Picasso or a Matisse?